Chimera's encoder utilizes H.264 High Profile Level 4.1, which is an advanced compression algorithm providing a 2:1 reduction in bit rates with equal image quality when compared to MPEG2. Mobile broadcasters who previously would have broadcast using half D1 can specify full D1 or even HD without exceeding their bandwidth allocation. Chimera is a professional broadcast network video HD H.264 codec that can encode or decode nearly any resolution up to 1080p60. Chimera accepts 3G-SDI / HD-SDI / SD-SDI. Chimera decodes 1080p HD H.264 or MPEG2 video. Chimera's 1080p HD video over IP is Blu-ray quality, with extremely low latency and efficient network bandwidth use. Chimera is extremely rugged and features extremely low power consumption, an embedded operating system, no moving parts, a small form factor in a hardened solid milled aircraft grade 6061-T6 enclosure. Chimera excels in mobile applications where size, weight, and power consumption must be minimized. Chimera is extremely energy efficient. Chimera's hardware compression provides the highest performance at the lowest power consumption. Chimera has both power over ethernet (PoE) or DC power providing redundant power sources to further increase reliability. Chimera's 3G-SDI input supports HD Video with embedded audio up to 1080p60. The H.264 stream is output over an EN 50083-9 compliant DVB-ASI output using MPEG-TS for professional broadcasting applications, or over IP in a variety of formats. Chimera also features HDMI/DVI output for displaying HD video with a screen resolution of up to 1920 x 1080. The built-in scaler and compositing engine allows any output resolution to be displayed on any output. 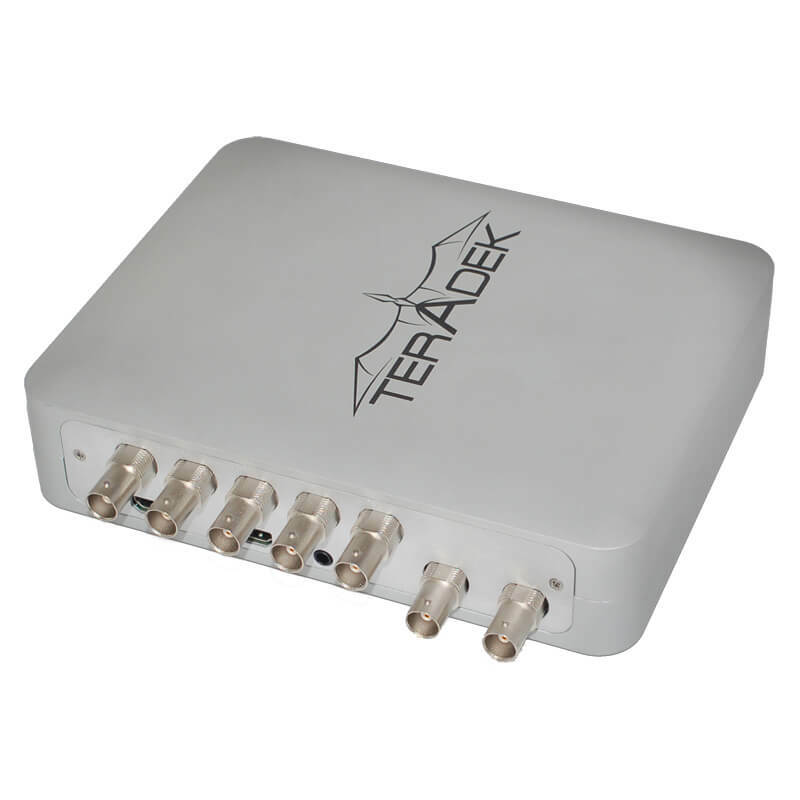 Chimera provides an advanced web server that automatically pairs with other Teradek devices independent of network infrastructure simplifying installation and use. Chimera's WebUI is simple yet sophisticated allowing the user to easily configure and control the unit.